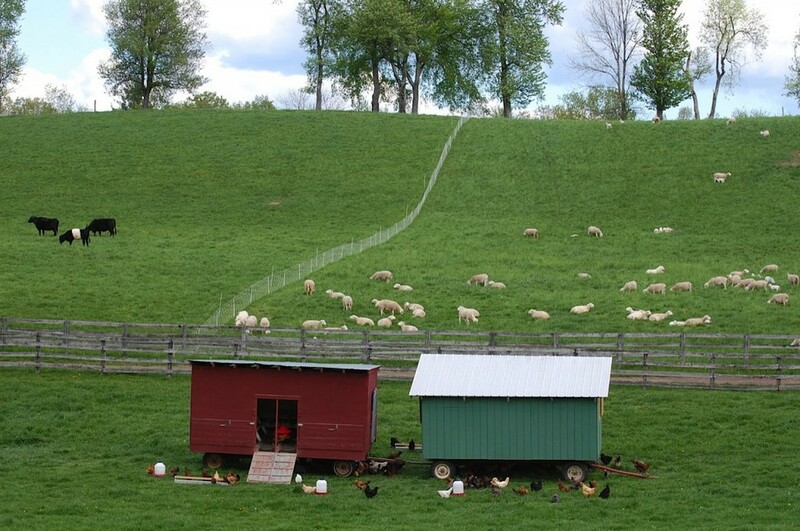 With over 1,000 acres of rolling hay meadows and pastures, Kinderhook Farm raises cattle and sheep on a 100% grass and legume diet that includes no grain, antibiotics, growth hormones or animal by-products. In addition to cattle and lamb are raise pastured broiler chickens and gather eggs from our pastured laying hens. Recently an addition of heritage breed pigs and an apiary have made it to the farm. The animals live out on the pastures of our farm, grazing the forages growing in the fields. During the summer hay is harvested and fed to the cattle and sheep in the winter. The animal wastes return to the land and become nutrients for the next grass cycle.